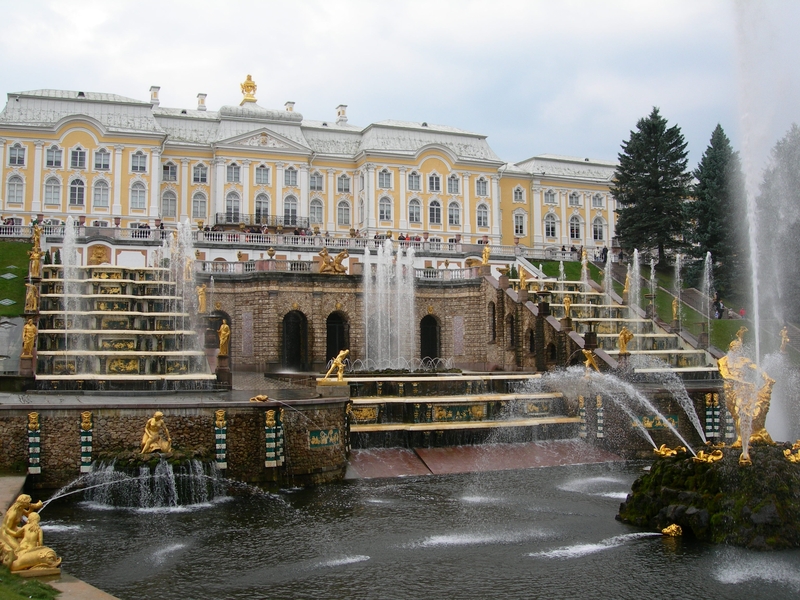 The Peterhof Great Cascade fountains. Photo by Cottbus. 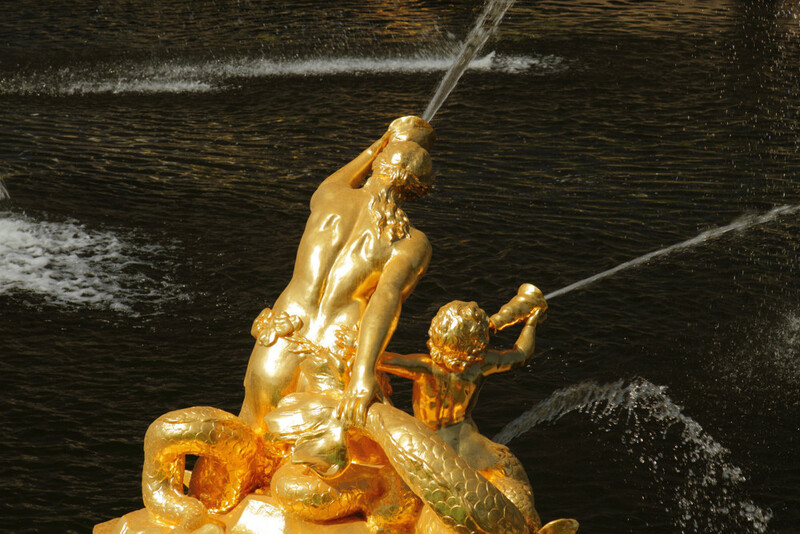 There are several copies of this mermaid sculpture at this fountain. Note that both the child and grown mermaids are twin-tailed mermaids. 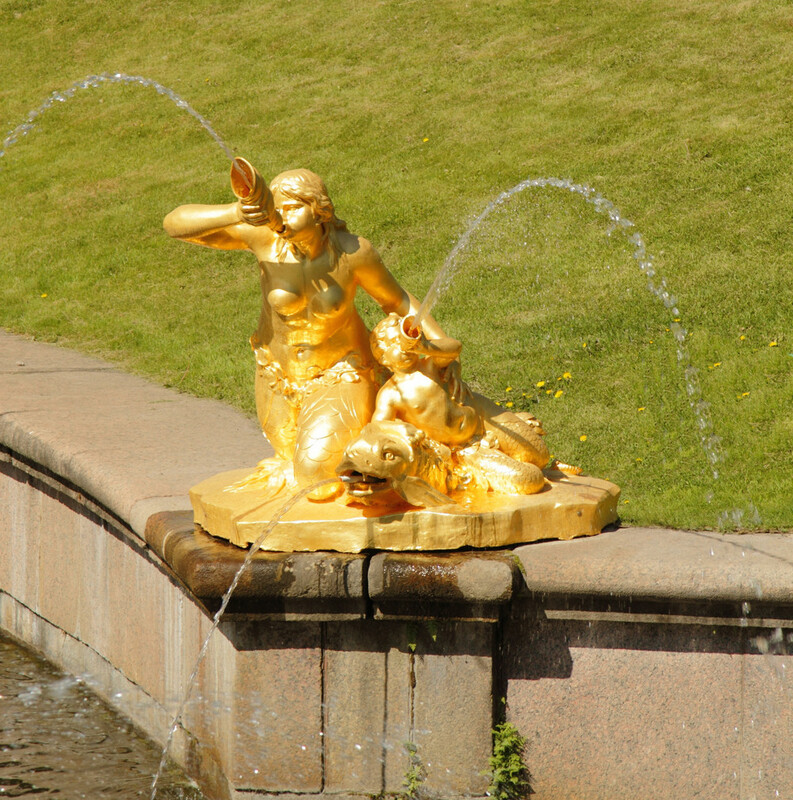 Mermaid statues in Samson Fountain at Peterhof. Photo by Jonathan Ho. Other twin-tailed mermaids in our collection are listed here. Additional images: If you would like to help with additional photographs of this mermaid statue, please contact us or upload them here. Photos must be yours, 10 megapixel or better.